For today’s feature we’re getting a little bit outside of town to Harristown to take a look inside, outside and around at Jenner Ag Sales Corporation. Not only does the Decatur area have a rich boutique retail market but being in the heart of American agriculture of course we’re home to our fair share of Ag-focused businesses so this month we want to invite you to learn more about Jenner Ag! Tell us about your business…What do you do? 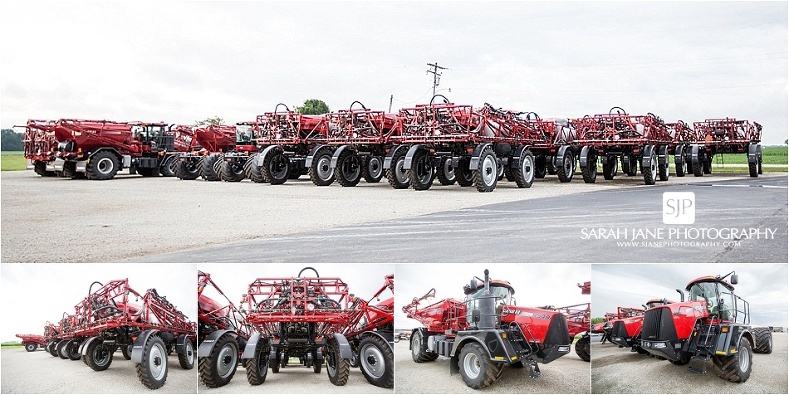 Jenner Ag serves the agriculture industries in Illinois and Indiana as a leading provider of application equipment, including Case IH, New Leader, Raven and more. The company supports Central Illinois farmers and garden enthusiasts from our Taylorville store with Case IH, Kubota, Cub Cadet, eXmark and Echo products. We help farmers revolutionize their operations with the latest technology through Jenner Precision, partnering with Precision Planting, 360 Yield Center, Ag Leader and more. What are you passionate about outside of business? Personal development and education. It’s why I feel so strongly about The Great Game of Business. We have been part of the Game for five years, and employees tell me it impacts and improves every aspect of their lives. I couldn’t agree more. WHY did you choose to do what you do? I grew up on a farm, and I wanted to farm, but in the ’80s there was little room for additional expense because of low commodity prices and high interest rates. I sought out a career in agribusiness and worked to reinvest the passion I had for this field. That passion lead me to business ownership and the opportunity to introduce others into the field of agribusiness and the great opportunities found within the industry. Introduce us to your STAFF… We have 80 team members at three locations. Our employees are like second family. We all work together to improve the business and enrich each other’s lives. Training is ongoing for both personal and professional development, so that each of our team members has the opportunity to grow their lives outside of work and develop into a strong member of our team and society.